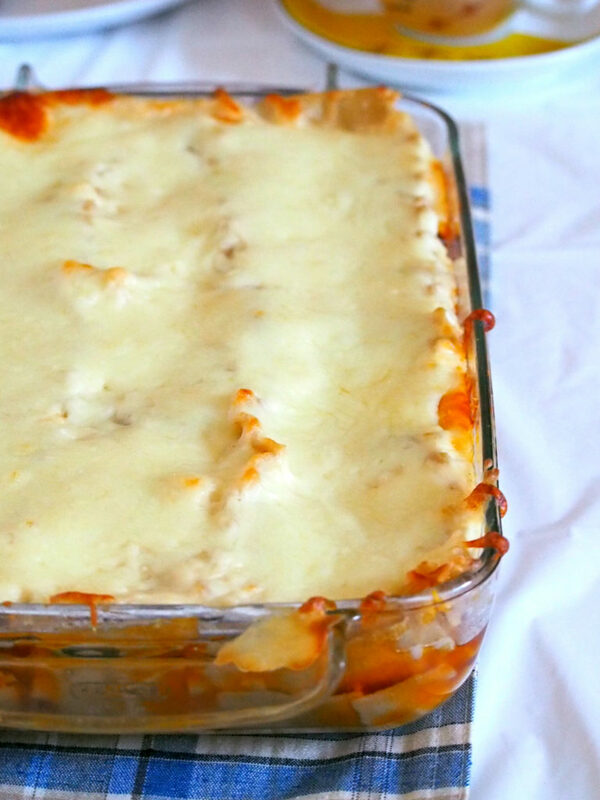 Filipino Style Lasagna is sweet, cheesy and creamy. 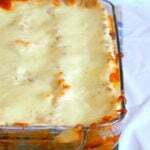 It is a rich pasta dish made with saucy ground beef meat sauce, layered with a creamy bechamel sauce and finally topped with lots of mozzarella cheese. Filipino style lasagna was one of the first few dishes I often made when I first started to find my way into the kitchen. I still can remember the time when I braved our little kitchen with a piece of paper in my hand. I was so nervous that I waited for everybody to be out of the house and I didn’t start to cook until I was alone. At the end, I was so exhausted. I mean, who wouldn’t be? I was a novice one and I tackled a recipe with three separate elements in it: Pasta, meat sauce and white sauce. Too complex for someone who is just starting, right? I was ready to crash in bed as soon as I wash the last piece of dirty dishes. I made the dish again several times after that. And of course, just like with anything, things got easier and easier as you get used to it. I tweaked the recipe over the years, making it more simple and less laborious than the original one that I started with. When my husband first came to Canada, and having mastered this recipe by heart, I made this dish for him for his welcome party. He liked it except for one thing, he says that the white sauce is not actually white but brown. So from then on, I omitted the condensed mushroom soup from the recipe and resorted to adding only evaporated milk in the white sauce. 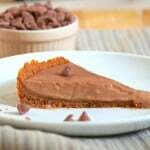 You see, this recipe has been tweaked, re-invented and has been tested. Today, this Filipino Style Lasagna is well loved by my family, and gladly, by my two kids. Whenever I am out of ideas to cook, I always turn to this one. Between this and my other favorite, Chicken BBQ Pizza, lunch is covered for times we want to have a break from eating rice. As much as I would like to take the credit, this Filipino style lasagna mostly got its wonderful, sweet flavor from the Filipino style spaghetti sauce. 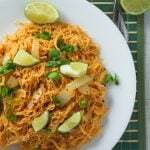 I used to put only tomato sauce before and always ended up sweetening the sauce with sugar to get that Filipino style taste, but now, the addition of Filipino spaghetti sauce makes the pasta sauce perfect in sweetness, saltiness, and tang. The cheesy top is shredded mozzarella. 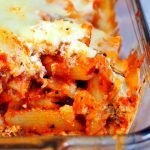 You can use cheddar, Parmesan, or combination of cheeses, if you prefer. I love the mild sharpness of mozzarella and its creamy pale color adds to the character of the dish. I always go for the pre-shredded variety because I am lazy! 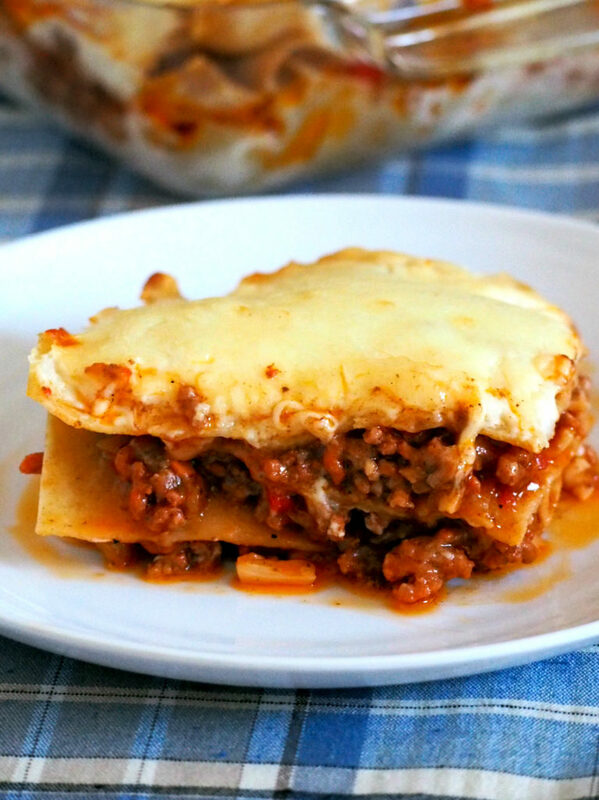 This lasagna is a rich, filling lunch and I do not go hungry for hours when I eat this. Well maybe, except for desserts like a no-churn chocolate ice cream or Ovaltine cake. 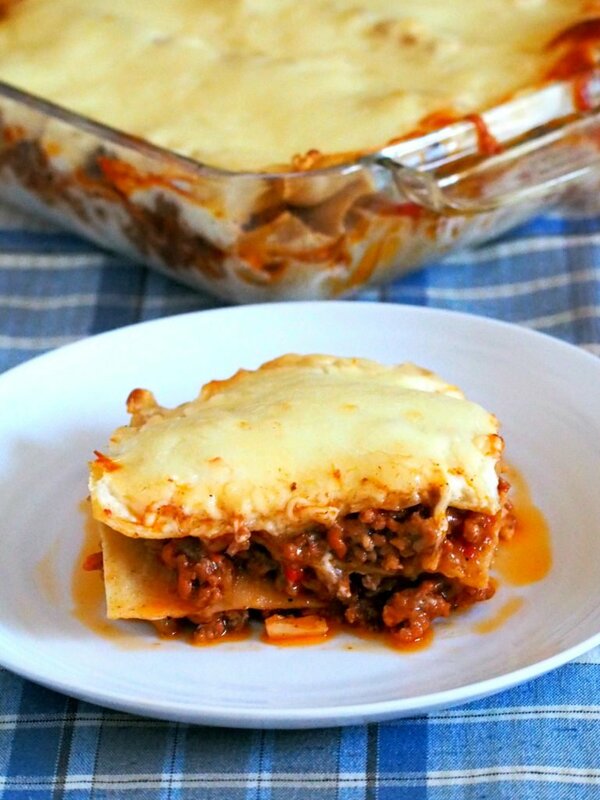 Make this Filipino style lasagna and you will be amazed by how easy it is. Instruction is lengthy, yes, but the over-all process is really simple. You will love this! 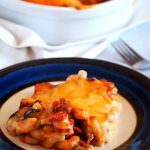 Filipino Style Lasagna is a sweet, creamy and cheesy pasta dish with layers of juicy meat sauce and rich bechamel sauce in between. Bake in the preheated oven for 15 minutes. Let cools lightly before cutting. Hi. If mozzarella cheese is not around. What cheese po pwede for the bechamel sauce? Cheddar cheese is a great substitute. The quick melt ones, like the Velveeta and Eden are great! But you can also use the cheddar brick cheeses too 🙂 Enjoy! Hi. What kind of milk will be use? Hi Diane! You can use regular cow’s milk in addition to the 1 cup of evaporated milk. 🙂 I hope you enjoy this recipe. Hi, you used dried basil and parsley instead of the fresh ones. Actually I prefer the fresh ones, but my daughter has taste preference for something sweet and salty, she doesn’t like food that might taste weird for her and that includes herbs and spices. I appreciate if you have suggestions. Thanks and looking forward for your other recipes. Hello, Helen! Thank you for checking the recipe out. My daughter is the same. She does not like the taste that the herbs impart on food so I usually omit the herbs because of her. Hi sabrina! Yes, you can! Hi, can I do this using the microwave oven? How many minutes will be enough to have it cooked? Thanks. Hi Abegail! I have not tried cooking this via microwave. If you don’t have any other option but the microwave, I would suggest boiling lasagna noodles thoroughly until it is really tender. Essentially, all the elements of the Lasagna are cooked prior to putting in in the oven. It would not hurt doing the final stage in the microwave but the result can differ than if you were to cook it in the oven. I suggest minimal time only as the pasta can toughen up in the microwave. I am using electric oven to bake it. Thanks for that tip, Polido! Can i use oven toaster for this? Hello Tina! Yes you can use oven toaster since the lasagna noodles and the filling are all cooked beforehand. The oven toaster can melt the cheese decently 🙂 Happy cooking! Hello Donna! Yes, masarap ito. You should try. It should cost you around 40 cad or about 1500 php. Good luck and happy cooking! Hi Bianca! You will love this:) If you want to use cream of mushroom, just replace the evaporated milk with 1 can of condensed cream of mushroom in the white sauce recipe plus add 1 small can of Nestle cream. Also yummy!